Credit: http://bilingualparenting.com. All rights reserved. I’ve been working in the field of alternatives to traditional education for a long while now, ever since I was a child running around my neighborhood, inventing my own games and art, and reading books of my choice. Though by its own measures I did well in traditional schools (by which I mean I got good grades), I never really liked school, with its competitions, its limits, its labels, and its random subjects disconnected from real life and real issues. 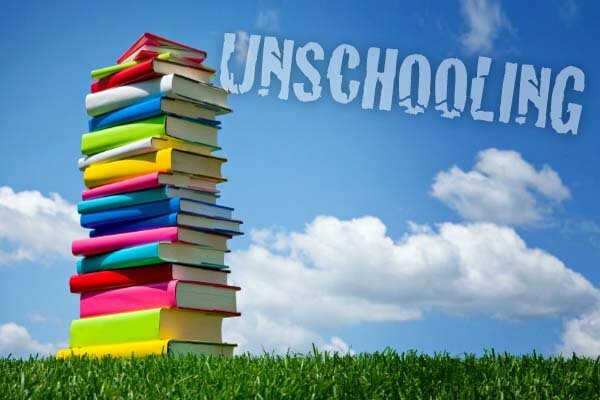 As I got older and started learning about the historic roots of the education system and its impact on diverse communities around the world, I realized that my personal dislike of traditional schooling was well-founded. This system has been wreaking havoc on individuals and communities for at least 200 years. Many people agree on the ills of schooling. They know it is cutting children off from interactions with their families and their neighbors; from a sacred connection with nature; and from their own bodies, hands and spirits. They know it’s a rat race, and that lots of children suffer from the labels and the artificial competition that’s imposed through traditional schooling. Those labels and insecurities worm their way into our adolescence and multiply when we are adults. They also know that schooling isn’t helping to solve the problems that face the world. Instead, it’s feeding those problems by producing more capitalistic, obedient and submissive consumers. But when it comes to other possibilities in education, people are often at a loss. At least in the US and the UK, there are endless calls for ‘reforming public education’ - which for many people means a ‘better’ version of the same old thing: smaller classrooms, better trained teachers, more technology, and better textbooks. Others are experimenting with charter schools, democratic schools and free schools, homeschooling cooperatives, un-schooling, de-schooling and natural learning communities. Despite the creativity and the generative possibilities of the alternatives that are opening up, they are often called elitist and dismissed on the grounds of being inapplicable to the majority of children. Two years ago I was invited to host a workshop for an innovative educational experiment in Puerto Rico called “Nuestra Escuela” (“Our School”). Nuestra Escuela is an educational model built on a mission of love, which means that it is committed to throwing out labels like ‘juvenile delinquent’, ‘at-risk’, ‘dropout’, and ‘failure.’ Instead, their goal is to embrace the brilliance, creativity and potential of all young people in their communities aged between 13 and 18 years. The Nuestra Escuela team asked me to help them think through how to nurture deep learning and collaboration in line with their mission. They wanted a pedagogy that reflected the care and belief they had in each person. So I started reflecting on the answers to a simple question: “what are the most meaningful learning experiences that you have had?” I and the community I worked with previously in India (called Shikshantar) asked this question to many different people of all ages and backgrounds as we worked to generate alternatives to the traditional education system. 1. Mentors – someone who inspires and can guide you, and who gives meaningful support to you in times that matter. 2. Experiments – personal and collective challenges that you give to yourself, and/or that you agree to undertake with a group, to stretch yourself, come closer to your own spirit and truth, and live in greater alignment with your values. 3. Apprenticeships and internships – longer-term commitments to learn something that matters to you deeply, usually with people who have expertise in the field. 4. Travel - journeys and visits that enable you to interact with people and places that embody what you want to learn; the journey itself is part of the learning experience. 5. Self-study - looking at books, films and websites that delve into the different aspects of your interests. 6. Reflection - writing, journaling, photography, art-making, and other creative forms of expression designed to help you digest what you’re learning, capture your insights, and reflect them to others who can give you feedback. After you decide what you want to learn, which can be an individual or collective decision, you can generate the mentors, experiments, apprenticeships, travel, self-study and reflection along these ‘spokes’ that will help you move ahead. This creates your learning web. The Nuestra Escuela team of students, teachers and administrators created learning webs with one another on a variety of subjects, from massage therapy, to ending violence, to starting a local business. They have bolstered their learning by holding circles in which students and staff ask each other questions, listen, brainstorm, and support each other to grow and connect their webs. As the staff of the Berkana Institute are fond of saying, “Start anywhere. Follow it everywhere.” That’s how you grow your learning web - by being as curious as possible, and making a commitment to learn as much as you can. If you remember that everyone is both a source and a resource, with lots to share in terms of experience, ideas, stories and questions, there is an endless supply of learning possibilities. Learning webs can lead you to ‘aha’ moments, wonderful relationships, and many other things that you couldn’t have known when you started out on your journey. They can knit you back to the real world and into the web of life. They encourage compassion, communication and commitment, and encourage you to accept and work with complexity. They enliven your imagination and ground you to your sense of purpose. Most importantly, learning webs return the power of learning to their source: to you and the collectivities of which you form a part. When we harvest the power of our individual and collective wisdom, we will find what we need to build a world that works for all. An earlier version of this article was published on http://marketingforhippies.com/learning-webs/. It is re-published here with thanks.